How you look has a lot to do with how you feel. So having a medical doctor who can help you look and feel better at the same time will really make your life easier. Especially if that doctor is conveniently located, affordable and has all the latest laser technology at his disposal. He can help you avoid expensive surgery. He can also help you with medical-grade weight loss programs, skin care and physician-approved cosmetics. If you've tried department store products and over-the-counter (OTC) beauty skin care products, you'll be amazed at how much more effective our products will be for you. Bhupendra Patel, MD, is the right doctor for you. Dr. Patel has advanced training in the use of medical laser technology for a variety of nonsurgical esthetic applications. So you can look and feel better without the pain, scarring and sometimes lengthy recovery that go along with surgery. 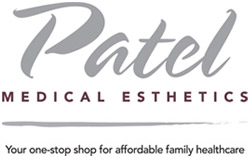 In addition, as a board-certified internal medicine specialist, Dr. Patel cares for all your family's medical needs. He believes in teaming with his patients to optimize care, and he is happy to spend as much time with you as you need. His medical goal is to provide the best possible care so that you can enjoy optimal health throughout your lifetime.